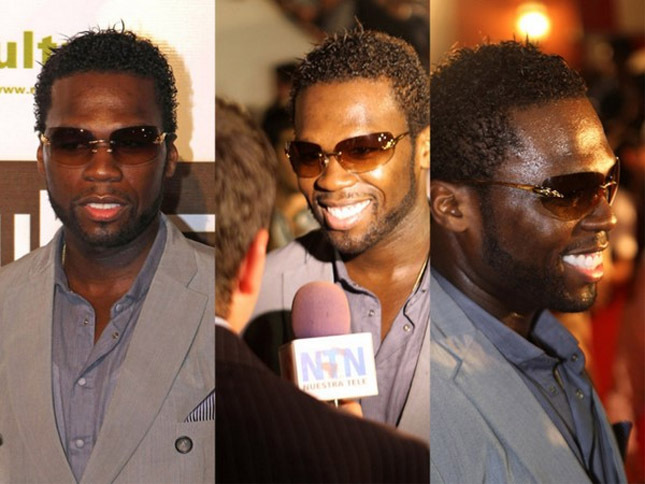 50 Cent took off his durag, and clearly did away with the S-Curl (shown below) that recently raised a lot of eyebrows amongst his peers. 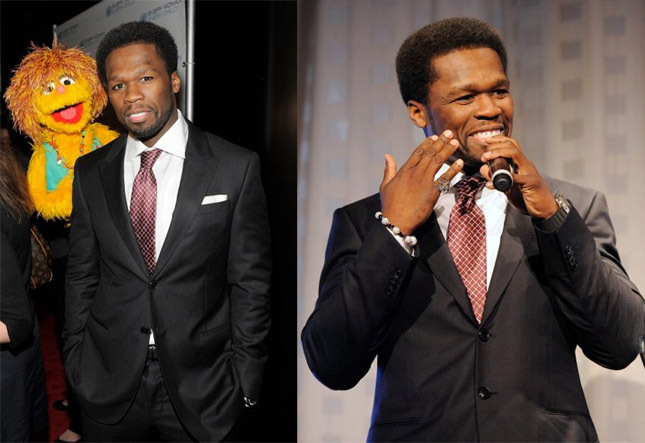 Curtis “50 Cent” Jackson switched his look up and took it back to the 90's with a mini Afro for “Every Woman, Every Child” MDG Reception held at the Grand Hyatt held on Sept. 20, 2011 in New York City. He also still appears to be proudly sporting the diamond watch Floyd “Money” Mayweather gifted him after winning the fight against Victor Ortiz this past weekend. 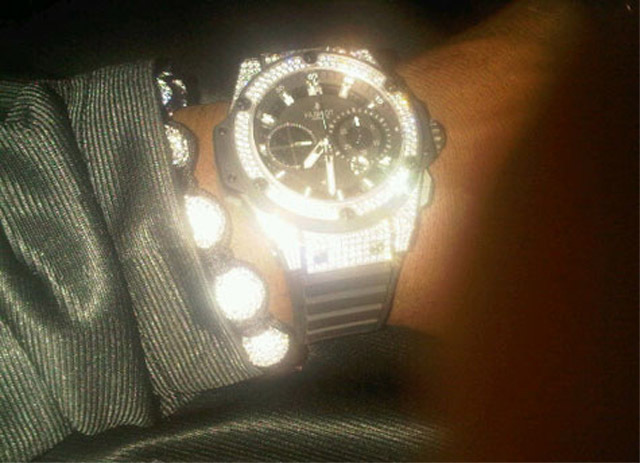 “Look what my boy @FloydMayweather got for me. Cool its called king power SK,” 50 tweeted shortly after the $25 million dollar winning K.O.